Summary: It is important that counseling and healing practitioners have an approach to ethics that is more profound than a set of rules. The Buddhist Eightfold Path is one such approach. This inability to learn about what drives one’s deeper motivation and intention is just the tip of the iceberg of a general problem in many societies. Most individuals are not given the tools to really know why they do what they do. Generally, social norms are simply set up to provide structures for people to do what the social norms need them to do. And what social structures mostly require is that the structures themselves survive. Any motivation and intention on the part of the individual that might stray from this goal is not usually encouraged or valued. Most cultural and political institutions don’t invest heavily in helping their members know why they are doing what they do. This could be a dangerous proposition. What would happen if someone looked at their motivation and intention and realized that what really motivated them was not that which supported the agenda of the institution? Allowing a deeper examination of what drives the individual’s motivation and intention can be a slippery slope for an institution that relies on the individual being motivated in a way that supports the institution – even to his personal detriment. An extreme, but not uncommon, example of this is a military organization. Here, the individual is trained to look away from what might benefit his personal growth or potential to guarantee that the aims of the organization are fulfilled. However, in an institution or organization that trains or oversees healing professionals, a more expanded view of the individual’s participation is needed. An institution that oversees individuals who are helping others understand their problems by, in part, looking at what motivates them, must place some value on personal motivation and intention. It could even be argued that such an institution be required to encourage self-inquiry with regard to motivation and intention in its members. If healers, therapists, doctors, counselors, psychologists, teachers, and priests do not fully understand their motives in following the path of service, they have the potential to do a disservice to those they serve. Motivation and intention to service can, ironically, be driven by selfish aims. It is all too easy to disguise less-than-altruistic motivation and intention in appearing to be altruistically engaged in the service to others. Even when people are only aware of a positive intention in their choice to be of service, they may be driven by an unresolved ego need. For instance, how many healers do you know who derive a sense of self-worth from being a healer? This may not seem to be a big problem at first glance. Why would it be a problem if a healer were deriving some self-esteem from helping others? But what if a patient refused help from a healer who needed to be of service in order to feel okay? What kind of motivation and intention might be behind something like a “check-up call” or “advice” about continuing with a particular therapy? It is at a moment of this type where unexamined motivation and intention become an ethical issue. And it is at this type of moment where self-understanding on the part of the professional becomes crucial. Ethical conduct is important in any interaction. In many situations, it is less important that a person know their deeper motivation and intention in acting ethically than to ensure they act ethically. Ethical conduct driven by fear of punishment might be acceptable in a retail environment where a customer does not steal simply because he is afraid of being caught. But healing, spiritual, or teaching professionals are granted deep access into the sacred space of the patient’s mind/body complex in the execution of their profession. A more complex engagement with ethical behavior should be required of them. Although most systems of ethics agree on one fundamental principle: “Do no harm,” there are many views, paths, and methods for attaining and maintaining that principle. Given the high stakes game of relieving suffering that healing and spiritual professionals engage in, they must, at a minimum, understand what motivates them in interpersonal interaction, in order to arrive at what “Doing no harm” means for them. Given the nuances of the body, mind, and spirit of any person seeking help, a code of ethics that is based on “Don’t do that, or something bad will happen” is really not sufficient. Healing professionals need a strong understanding of their own motivation and intention – and the foundation of trust in themselves that springs from that understanding – in order to be able to trust that will act ethically in any interaction with those they serve. A nuanced definition of what it is to act ethically may vary from system to system. Buddhist philosophy informs ethical behavior across a wide range of definitions. Buddhist philosophy provides support in helping the individual understand what motivates his actions. Again, this need for the healing or spiritual arts professional to understand why he wants to alleviate suffering in others is crucial. And this is just the very beginning of the inquiry regarding ethical conduct that a healing or spiritual-arts professional must engage in to safeguard the sacred trust he enacts when assisting others. The steps on the Eightfold Path are principles that are part of a greater body of teachings that Siddhartha Gautama set forth after emerging from a period of meditation and study. Siddhartha Gautama is the given name of the teacher we know better as Buddha and who is the founder of what we know as Buddhism. He lived in the present-day border area between India and Nepal in the 6th century BCE. Within a short period of time of emerging from this period of study and meditation, Buddha established a reputation as a great teacher and delivered many teachings, including teachings on the development of an ethical method of engagement in the world. The Eightfold Path is a set of practical guidelines designed to enhance ethical and mental development. Great emphasis is put on engaged practice, because it is only through practice that one can attain a higher level of understanding. It is for this reason that The Eightfold Path is peculiarly adapted and adaptable to the therapeutic environment. The practice of counseling another provides the practitioner with an opportunity for self-development, without compromising important boundary considerations. It is this aspect of self-development in the service of another that makes The Eightfold Path such a valuable tool for a practitioner in the Western counseling or healing environment. The Eightfold Path provides ethical guidelines that transform the practitioner when he engages in the inquiry and practice suggested by the Eightfold Path. This is why the study and application of the Eightfold Path in the Western therapeutic environment is so much more useful than pat aphorisms that are designed to modify behavior away from certain negative consequences. When a counselor working in a Western therapeutic setting undertakes the understanding of his practice from the view the Eightfold Path provides, his world is forever changed. He always has access to fresh perspectives to inform his understanding of himself and to deepen his commitment to ethical interaction with his clients and colleagues. New ethical dilemmas can be met with new application to the flexible yet far reaching understanding provided by the Eightfold Path. Thomas Kiernan further elucidates the importance of engaging with the practice of ethical engagement the Eightfold Path prescribes: The eight aspects of the path are not to be understood as a sequence of single steps, instead they are highly interdependent principles that have to be seen in relationship with each other. For instance, ethical conduct is viewed as a guideline to moral discipline that supports the other principles of the path. This aspect is not self-sufficient; it is, however, essential, because mental purification can only be achieved through the cultivation of ethical conduct. In a sense, one could say this type of engagement with ethics become a way to help the practitioner to stay not only in integrity with his clients and colleagues, but also with himself. All too often, ethical considerations are focused outward. The emphasis is on the proper conduct as it manifests in external relationships. Any ethical system that focuses only on external interactions that the individual has with those around him must focus on behavior modification to attain its goals. This can be helpful in terms of crowd control, but this kind of system fails to address the very issues it gives lip service to. It is really quite artificial to have a set of ethics that does not help the individual address ethical issues within the individual’s deeper relationship with himself first. If the healing or counseling professional is only required to appear to adhere to ethical conduct in the way that he interfaces with legal or professional systems, something very important is lost. As Thomas Kiernan clearly demonstrates, the guidelines of the Eightfold Path place the healing or counseling professional squarely in a process of self-illumination. This process goes much farther than mere lip service to a socially determined set of rules. Through personal engagement with the steps on the Eightfold Path, the professional definitely comes to interact with social and political structures in an ethical manner. But this interaction is really just a by-product of the honest engagement with the self that the Eightfold path illuminates. The goal is not simply to behave properly. The goal is to understand why one behaves the way he does. Through genuine understanding of one’s deeper motivation, ethical interaction with those in the environment becomes a given. It is not something that has to be strived after, where one must be constantly vigilant to assure that a wrong step is not taken, or where extra effort must be applied to manage others’ perceptions. When the driving force of our actions is wholesome, our actions will tend automatically to contribute to others’ well-being. In the epigraph to this article, The Dalai Lama is implying that when we understand what drives us at a deeper level, we will naturally make choices that will lead to our own well-being. When we make choices that lead to our own well-being, we will naturally make choices that will lead to the well-being of others. We cannot make choices toward our own well-being if we are hiding out behind fuzzy motivation. For instance, if we are not congruent with our need to be of service in order to feel okay about ourselves, we will be hiding from the fact that we are using our service to others to fulfill an ego need. This ego need’s driving force is, at best, unknown to us, and at worst, known to us, but veiled in denial. We are vulnerable to making ethical choices in external engagement that are not in others’—or our own—best interest if we do not take the time to understand our motivations. For example, if we are authentic in our examination of our motivation to be of service, we will naturally engage with others in ways that are not driven by our unexamined need to be of service. For instance, we will not be tempted to recommend procedures that make us feel better (i.e., recommend a procedure so we can be of service, and not because the client necessarily needs the service). This would have deep implications if we did not understand why the recommendation made us feel better, and how the recommendation may not be what the client or patient needs. If, however, we are employing something like the Eightfold Path to do the deeper work of understanding our internal motivation as part of a regular practice, we will, as the Dalai Lama says, act in ways that automatically contribute to others’ well-being. In this way, very little effort is actually needed to maintain ethical conduct among professionals who are engaged in and supported by the deeper level of self- inquiry the Eightfold path provides. The need to instill mandates or spend time and effort on regulation to ensure ethical conduct subsides when the practitioner understands the deeper ramifications of “bad behavior.” “Bad behavior” is only the surface manifestation of a deeper set of unexamined internal processes. When internal processes are examined and right action is taken as a result, ethical conduct arises naturally. There are many translations and explications of the Eight-fold path that could be consulted here. I must thank Thomas Kiernan (www.thebigview.com, accessed 2007) for his clear and thoughtful elucidation of each of the steps. I have drawn from these explications below. The Eightfold Path that consists of the following steps. Right view focuses on the understanding of the nature of what creates suffering. In Buddhist terms, the sources of suffering lie in what the individual is attached to, what the individual avoids, and what the individual is unconscious about in himself and his environment. When the individual understands the sources of suffering, he often determines to change the way he engages with himself and the world. Since our view of the world forms our thoughts and our actions, right view yields right thoughts and right actions. Although one does not have to be a Buddhist practitioner to be able to perceive the wisdom in the above statement, certain definitions might be useful to the non-practitioner in understanding the above. Briefly, the Four Noble Truths states that 1). Life is suffering, 2). Suffering is caused by attachment, aversion, and ignorance, 3). There is a way out of suffering, and 4). By following the Eight-fold Path one can emerge out of suffering. Karma is a Sanskrit word that literally means “action.” All actions – past, present, and future – are connected by the law of cause and effect. This is why Buddhism offers so much toward the understanding of our actions in terms of ethics. When everything is related, no action can be taken without having an effect at some point in the future. One tends to take ownership of one’s conduct when one realizes there is no external authority to dodge. Taking ownership in this way takes the “fun” out of rationalization. It also takes away any illusion that denial about one’s intention or motivation will safeguard us when dealing with an externally-arising judgment regarding our behavior. When one realizes that there really is nowhere to hide when considering the consequences of engaging in unethical conduct, the choice toward wholesome acts is made easier. As Thomas Kiernan states: Since our view of the world forms our thoughts and our actions, right view yields right thoughts and right actions. In the Eightfold Path, intention is informed by the understanding of what creates suffering. The Four Noble Truths clearly elucidate that which creates suffering. Here, the intention behind action is informed by the Four Noble Truths. When one understands that the failure to perceive what one is attached to, what one is avoiding or what one is unaware of can have consequences that will lead him further into suffering, one becomes motivated to understand his deeper intentions. Indeed, motivation and intention toward greater self-understanding can increase exponentially when one understands that one is creating one’s own suffering in not understanding what motivates his intention. It could be argued that in elucidating one’s intentions in the effort to reduce one’s own suffering is a type of behavior modification. But this is quite a different process from one where one fears the suffering that others might inflict upon him if he were to engage in certain behaviors. In making the process of choosing ethical behavior a flowering of internal choices toward motivation, the individual takes responsibility for himself. This is not true in systems where the individual fears external retribution as a consequence of his actions. The process of taking personal responsibility deepens as one engages more and more authentically with the steps of the Eightfold Path. The requirement that one take personal responsibility for oneself is an unspoken foundation of the Eightfold Path. From a more generalized Buddhist point of view, taking self-responsibility is a fundamental first step toward liberation from suffering. If the healing arts practitioner engages in the Eightfold Path in ways that lead him toward deeper and deeper self-responsibility, it will help him make ethical choices in dealing with patients and colleagues. A further advantage of this type of engagement is revealed in the clinical setting. As he feels the benefits of recognizing that no action does not have an effect somewhere down the line, or that no action is occurring which does not have some previous action generating it – he will become attuned to the ways in which the client’s actions are creating his own suffering. If he gently aims his practice toward the demand that clients learn what it is that is keeping them from taking responsibility, he will be in a position to help his clients emerge out of suffering. This lends dynamism to the healing process, which many professionals report to be lacking the longer they remain in a practice where personal responsibility is not a focus. When the practitioner engages in understanding his motivation, refined intention is bound to inform his relationship with his clients and colleagues. This kind of engagement keeps ethical considerations on the front burner in every interaction. The importance of speech in the context of Buddhist ethics is obvious: words can break or save lives, make enemies or friends, start war or create peace. Buddha explained right speech as follows: 1. to abstain from false speech, especially not to tell deliberate lies and not to speak deceitfully, 2. to abstain from slanderous speech and not to use words maliciously against others, 3. to abstain from harsh words that offend or hurt others, and 4. to abstain from idle chatter that lacks purpose or depth. Positively phrased, this means to tell the truth, to speak in a friendly, warm, and gentle way, and to talk only when necessary. The issue of proper methods of client communication is addressed at length in most government, state, and professional boards’ codes of ethics. There is nothing here that contradicts these guidelines. Guidelines in communication are simple and direct here, and very much enhance regulatory guidelines that take into account the complexities of modern communication methods. For instance, if a practitioner is practicing speaking only when necessary in his everyday life, issues around when and where to reveal patient information flow naturally from this practice. Here it is understood that unwholesome actions lead to unsound states of mind, while wholesome actions lead to sound states of mind. Again, the principle is explained in terms of abstinence: right action means 1. to abstain from harming all beings especially to abstain from taking life (including suicide) and doing harm intentionally or delinquently, 2. to abstain from taking what is not given, which includes stealing, robbery, fraud, deceitfulness, and dishonesty, and 3. to abstain from sexual misconduct. Positively formulated, right action means to act kindly and compassionately, to be honest, to respect the belongings of others, and to keep sexual relationships harmless to others. This step on the path simplifies and informs ethical considerations for professionals. If the individual is practicing not harming anyone for any reason in his daily life, the effort to figure out what proper conduct might be in the therapeutic environment diminishes. The phrase “taking what is not given” is such a helpful guideline in so many ways. On an action-oriented level, it clarifies boundaries between the exchange of goods. On more subtle levels, it minimizes assumptions that might blur boundaries. This one phrase informs a host of guidelines provided for in professional codes of ethics: plagiarism, trust, transference, and confidentiality. Any assumptions the practitioner might make regarding the client’s obligation to trust the therapeutic environment is quickly vanquished. Issues regarding the transfer of patient records are also cleanly defined with this one phrase. This step on the path is quite clear. Ethical considerations regarding research methodologies, often a point of contention among professionals who are normally in agreement, can be very well refined with this precept. 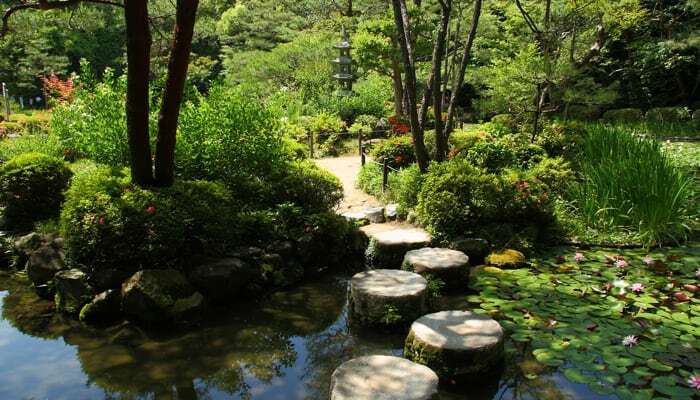 Right effort can be seen as a prerequisite for the other principles of the path. Without effort, which is in itself an act of will, nothing can be achieved, whereas misguided effort distracts the mind from its task, and confusion will be the consequence. Mental energy is the force behind right effort; it can occur in either wholesome or unwholesome states. The same type of energy that fuels desire, envy, aggression, and violence can on the other side fuel self-discipline, honesty, benevolence, and kindness. Right effort is detailed in four types of endeavors that rank in ascending order of perfection: 1. to prevent the arising of un-arisen unwholesome states, 2. to abandon unwholesome states that have already arisen, 3. to arouse wholesome states that have not yet arisen, and 4. to maintain and perfect wholesome states already arisen. In Buddhism, this concept of wholesomeness is refined by the understanding of something called “Buddha nature.” Buddha nature is an aspect of what is conventionally understood to be the self. This part of the self is, by Buddhist definition, that part of the self that is connected to the true, immutable, and eternal nature of all beings. Outside of Buddhist practice, this is quite a mouthful. But its application in the attempt to arrive at the correct ethical engagement is actually quite simple. If the individual can understand himself to have, somewhere within him, a core of being which is immutable and at peace and connected to all things, he can begin to develop a relationship with it. Then, when the choice regarding right effort presents itself, it is a simple matter to compare the consequences of the choice to the way in which it resonates with the “Buddha nature” within. The choice of where to apply effort becomes crystal clear. Right mindfulness is the mental ability to see things as they are, with clear consciousness. Usually, the cognitive process begins with an impression induced by perception, or by a thought, but then it does not stay with the mere impression. We interpret events and set them in relation to other thoughts and experiences, which naturally goes beyond the facticity of the original impression. The mind then posits concepts, joins concepts into constructs, and weaves those constructs into complex interpretative schemes. All this happens only half consciously, and as a result we often see things obscured. Right mindfulness is anchored in clear perception and it penetrates impressions without getting carried away. Right mindfulness enables us to be aware of the process of conceptualization in a way that we actively observe and control the way our thoughts go. This precept offers assistance, even beyond ethical guidelines, on so many levels for the practitioner working in a healing or counseling environment. By examining how each person links phenomena, the professional begins to discern how reality is formulated by both the practitioner and the client. If the practitioner is aware of his own tendency to link phenomena together to make a story which makes sense to him, and understands that this effort is simply the process of trying to understand reality, he begins to have a wider view of the world. And if the practitioner applies this process in the therapeutic environment, he is less likely to become dogmatic about his understanding of the client’s experience. This gives the patient or the client a wider sphere into which he can reveal himself. And it helps the practitioner create a healing environment where he can really listen to the patient’s or the client’s experience rather than make the therapeutic interaction simply a rush to diagnosis. Interestingly, this step of the Eightfold Path provides a very subtle safeguard against boundary violations. This is an area where most ethics systems focus so strongly with great effort focused on behavior modification interventions. There is a type of violation that can occur in the therapeutic context that is not commonly recognized as such. An apt description given to me by a client expresses this violation best. She said, after a visit to a psychiatrist, “I could tell she was just trying to figure out what kind of peg I was and what hole I would fit into. She was not listening to me. I could almost see a line of birdhouses above her head with different-sized holes, and she was trying to figure out which one she could stuff me into.” Clearly, she was not benefiting from a mindfulness practice on the part of the practitioner. The professional who patrols – and limits – his tendency to take the client’s experience and reformulate it to fit conceptual models of the self provided by any given paradigm can be informed by right mindfulness. When the client is afforded the ability to understand how he is linking phenomena to create reality, he comes to know himself. But when that process is interrupted by the attempt on the part of the practitioner to arrive at a diagnosis designed to make the client more understandable to the practitioner, a violation can occur. The effort to keep one’s actions within the bounds of right mindfulness, then, becomes the effort to create spaciousness in the therapeutic environment. This spaciousness, this allowance for the emergence of the way in which the client is creating reality, is a therapeutic tool. Thus, the Eightfold path provides the practitioner not only with a set of ethical guidelines, but also with a way to examine his own internal tendencies and how they contribute to his own understanding of reality. It also provides him with a widely applicable therapeutic tool that, in my experience, has blown open the doors of perception for clients and enabled them to begin to step into a process of understanding themselves at deeper levels. Concentration in this context is described as one-pointedness of mind, meaning a state where all mental faculties are unified and directed onto one particular object. Right concentration for the purpose of the Eightfold Path means wholesome concentration, i.e. concentration on wholesome thoughts and actions. The Buddhist method of choice to develop right concentration is through the practice of meditation. The meditating mind focuses on a selected object. It first directs itself onto it, then sustains concentration, and finally intensifies concentration step by step. Through this practice it becomes natural to apply elevated levels of concentration also in everyday situations. The development of a meditation practice is invaluable to the professional practitioner. In Buddhism, one level of meditative practice is called samatha. In Radiant Mind, Henepola Gunaratana, defines samatha as “concentration” or “tranquility.” “It is a state in which the mind is brought to rest, focused only on one item and not allowed to wander. When this is done, a deep calm pervades the body and mind” (p. 151). A meditative practice helps the practitioner deepen in order to perceive his own Buddha nature. As the practice deepens, all movement arises from this place of tranquility and connectedness. Decisions regarding ethical behavior become crystal clear. Any action that disrupts one’s connection with this part of the self becomes uncomfortable. No behavior modification is necessary, because all action becomes self-correcting when it takes place outside the realm of comfort provided by right concentration. The Eightfold Path, then, provides a simple, practical compass toward ethical behavior. It accomplishes this aim by providing tools to help the individual examine what motivates him, by helping him see the connection between his motivation and his action and by helping him see the connection between his action and consequences. That is, by helping him understand consequences that are internally experienced, not externally generated. The individual is effortlessly weaned away from fear of judgment as a tenet governing ethical behavior. This fear, at the heart of ethics systems that rely on behavior modification for approved types of interactions, is narrowing and exhausting to those who engage with these types of systems. Engagement with the principles held in the Eightfold Path, on the other hand, helps the practitioner breathe life into his own personal development and into the therapeutic environment in which he operates. The natural growth toward self-responsibility that the engagement with the steps of the Eightfold Path provides is healing for the practitioner. But it also informs the practitioner in the therapeutic environment and helps him provide the client with new perspectives and tools for healing. By providing methods such as meditation defined in Right Concentration, and through the focus on “Buddha nature” implied in Right Effort, the Eightfold path becomes more than a system of governing behavior. The Eightfold path provides motivation for the individual to take responsibility for his actions. He is empowered as he experiences choices toward ethical behavior from a deeply internalized place. He is liberated from dependence on external checks to inform his “correctness.” Ethical behavior becomes a given, part of a larger framework that provides the practitioner with ongoing assistance in developing an understanding of his motivation and directing his actions.